Beyonce’s “Heat” perfume collection has just been named the best-selling celebrity fragrance brand worldwide. The “Bow Down” singer has released six scents since 2010, with the latest being a limited edition of Heat for her world tour, the now available at Beyonce.com. . 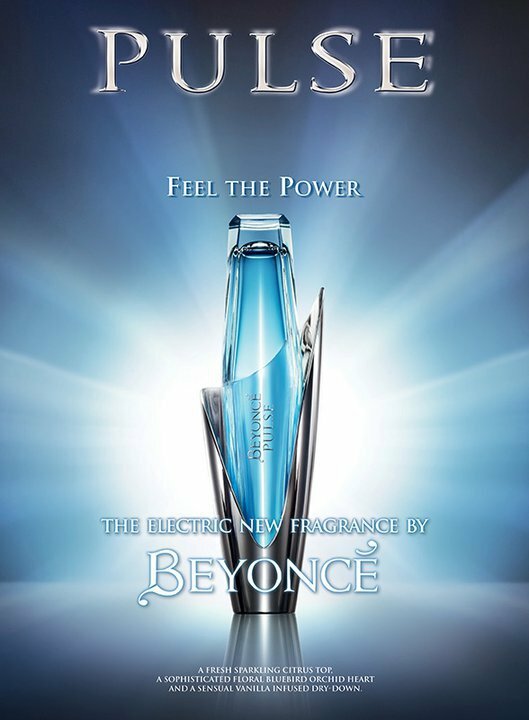 The six scents are as follows: Heat Rush, Midnight Heat, Heat The Mrs. Carter Show World Tour Limited Edition, Pulse, Pulse NYC, Pulse Summer Edition. More information about each of these scents can be found at www.beyonceparfums.com. It’s Beyonce season and the songstress is everywhere. Not only has she released a brand new track (see below), but she’s also gracing the April cover of SHAPE magazine. If you’ve ever wanted a body like Beyonce, then this is the issue for you. The singer shows off her post-baby bod and shares just how she got her body back in shape after giving birth to baby Blue. In case you missed it, Beyonce also released a new single called “Bown Down/I Been On.” Warning this song contains explicit lyrics, NSFW. Beyonce covers the July issue of W magazine. You can never have too much promo. You can still tell that it’s Beyonce in the pictures below, and the cover shot is absolutely stunning, but something looks different about her. It rally is amazing what lighting can do, because if you’ve seen Bey’s Essence magazine cover, she looks a few shades lighter. Check out the pictures from the W magazine shoot when you read on. Beyonce has been heavily scrutinized for her 2011 Billboard Music performance. Naysayers have accused her of “coping” Lorella Cuccarini. Beyonce has now confirmed that shew drew inspiration for her performance after seeing a performance by Italian pop singer Lorella Cuccerini in 2010. Read what Bey had to say below. “My makeup artist showed me the performance of Lorella Cuccarini a year ago, and it inspired me so much,” Beyonce tells AOL Music, exclusively. “I then met with the talented people who worked on it. Now take a look at the side-by-side comparison below. Most, if not all, artists draw inspiration from someone or something, so I don’t see the big deal. It’s not like Beyonce tried to hide it. Beyonce‘s team decided to put a twist on how they unveiled the singer’s track list for her upcoming album, 4. Every hour on May 25, Beyonce’s fan page, on Facebook ,revealed a new song that will be featured on the album. The album will consist of 12 songs. In case you didn’t get to see it, check out the full list below. Beyonce slayed at the 2011 Billboard Music Awards. Not only was her performance deemed the best of the night half-way through the show, but she was also honored with the 2011 Billboard Millennium Award. Before hitting the sage Bey was saluted by an array of industry vets through video messages and once that was over, the real show began. Bey started out on stage by herself in front of a green screen with multiple Beyonces. A few dance breaks later and Bey was surrounded by an army of women dancers. It was definitely a sight to see and Beyonce has come back in a BIG way. Check out some pictures fro the performance below.